A cynosure is something or someone that strongly attracts attention and admiration from others by its allure, brilliance, and interest, and usually is associated with lustrousness and attractiveness. It's pronounced kind of like dinosaur, only replace the 'saur' with 'sure' and you've got cynosure (sahy-nuh-shoor). Examples could be the Queen of England, the best dressed actress at the Oscars, and a pink diamond in a room full of whites. It could also simply mean a focal point or the center of attraction, as in the birthday boy or the receiver of an award at a special ceremony. The most popular use of this word is by John Milton in 1645, in his pastoral poem L'Allegro: "Where perhaps some Beauty lies, The Cynosure of neighbouring eyes." But cynosure was not always associated in such a beautiful way. It started out as a Greek word for "dog-tail," then became the name given by Greeks and Romans to the constellation of the Little Bear, Ursa Minor. 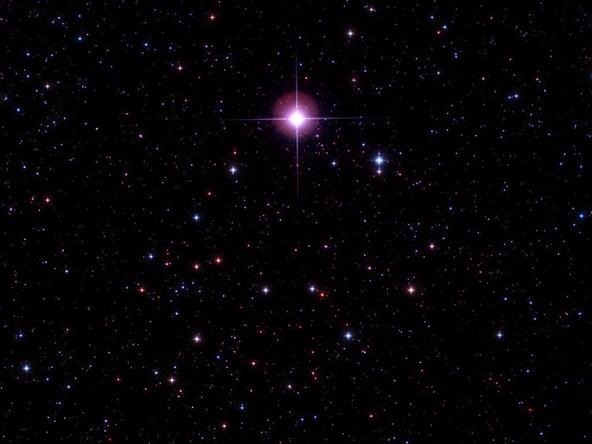 In English, cynosure referred to the bright pole star (the North Star Polaris) in that constellation, which draws attention to it with its intense brilliance. Hence, it's usage now as the center of attraction. Cate Blanchett playing Queen Elizabeth I in Elizabeth: The Golden Age.